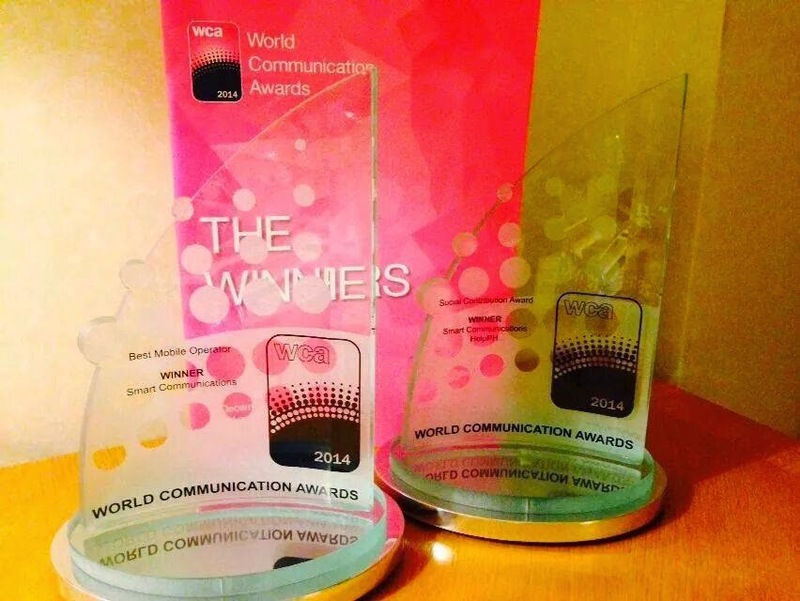 MANILA, Philippines - Wireless services leader Smart Communications, Inc. (Smart) won the Best Mobile Operator distinction at the 16th World Communication Awards (WCA) ceremony held on December 2, 2014 in London. Smart and its subsidiary Smart e-Money, Inc. were also recognized for providing mobile money services for Help.ph, a global fundraising campaign organized by the Philippine Disaster Recovery Foundation in the aftermath of Super Typhoon Yolanda. In winning Best Mobile Operator, Smart beat six other finalists with national and/or international business and operations – Globe Telecom, Ooredoo, EE, Idea Cellular, Turkcell, and Vodafone Qatar. The WCA is an annual awards program recognizing excellence in the telecommunications industry. It is organized by London-based industry publication Total Telecom. Smart was cited for giving millions of Filipinos access to non-traditional mobile services in an affordable and convenient manner. Last year Smart launched PowerApp, a mobile application that allows users to access Internet bundles relevant to them – Photo, Social, Chat, Email, and Unli packages – for as low as P5 per day. Recently, Smart launched the Free Internet promo to all its subscribers to enable more Filipinos to enjoy the benefits of mobile Internet. Smart was also recognized for transforming its subscribers’ mobile devices into the biggest content marketplace via non-traditional services like Spinnr, the Philippines’ biggest online music portal. Through Spinnr, Filipinos can stream and download music at affordable rates even without a credit card. For the Social Contribution Award, Smart won over Globe, Ericsson, BT, Ooredoo, PT Telkom, and Viettel. The winning project, Help.PH, allowed mobile phone users from all over the world to give donations for Yolanda survivors by simply sending a text message. The donated amounts were deducted from their prepaid load or charged to their postpaid bill. Last year, Smart won Best Consumer Service at the WCA for SmartNet, a platform that allows Smart subscribers to use mobile Internet services safely and affordably.